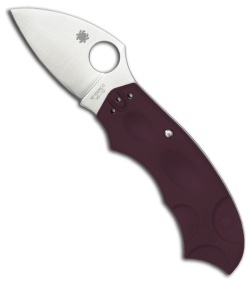 Years ago Spyderco manufactured (and later discontinued) a folder called the MeerKat. It had a secret. The MeerKat is being re-released in limited numbers as a Sprint Run for 2012. And it still carries the secret. The secret is in the locking mechanism. Inside the handle is a pressure release locking system called the Phantom Lock'. 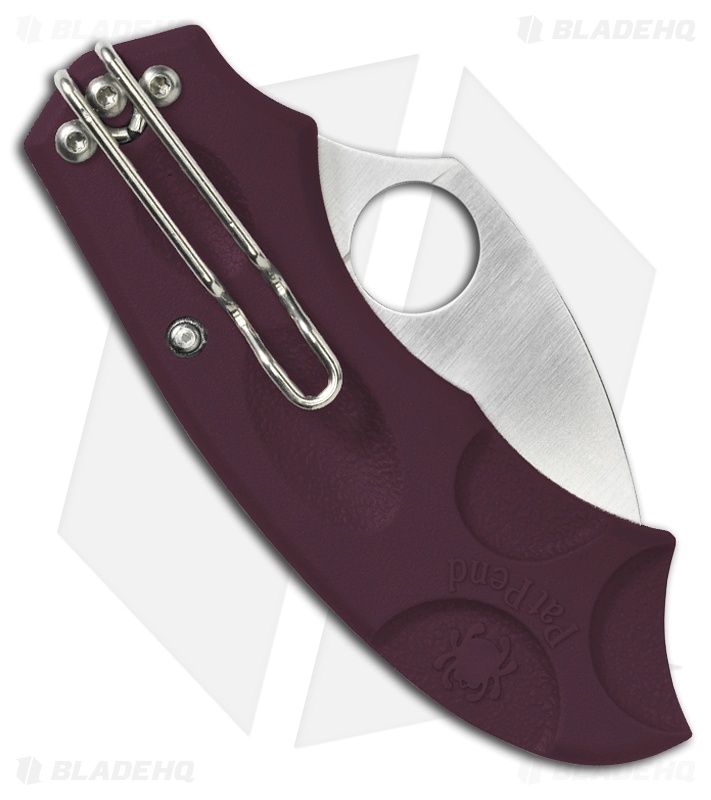 To unlock/close the open blade, place your thumb on one side of the handle and fingers on the other, simultaneously slide the handle scales in opposite directions. Although not visible, the lock's mechanics offer a safe, secure and unusual method of locking and unlocking the blade. The handle is a Burgundy FRN (fiberglass reinforced nylon), angularly-shaped with divots scooped from both sides of the scales for better grip and ergonomic comfort. Flat-ground VG-10 blade is a modified drop-point shape just under two-inches with a spine cusp. 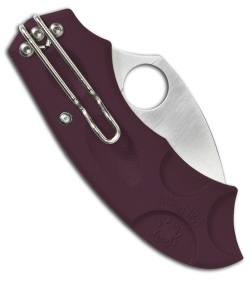 An ambidextrous deep pocket-wire clip positions the knife riding tip-down in a pocket. The MeerKat is small, acceptable for carry nearly anywhere and makes an enviable everyday carry piece or an excellent money clip. Once you've experienced the MeerKat's small size, noteworthy cutting ability and unique locking system, share it with friends.